Happy Wednesday! Today is also the first day of my new job, so it's an exciting and nerve-wracking day, all at once. That also means I may be a little MIA or inconsistent over the next couple of weeks as I get acclimated to new responsibilities and a new schedule, but bear with me! Fall in North Carolina is an interesting season - we have cool mornings and hot afternoons, chilly days from sun-up to sun-down, and humid and rainy weather that can plague an entire day. 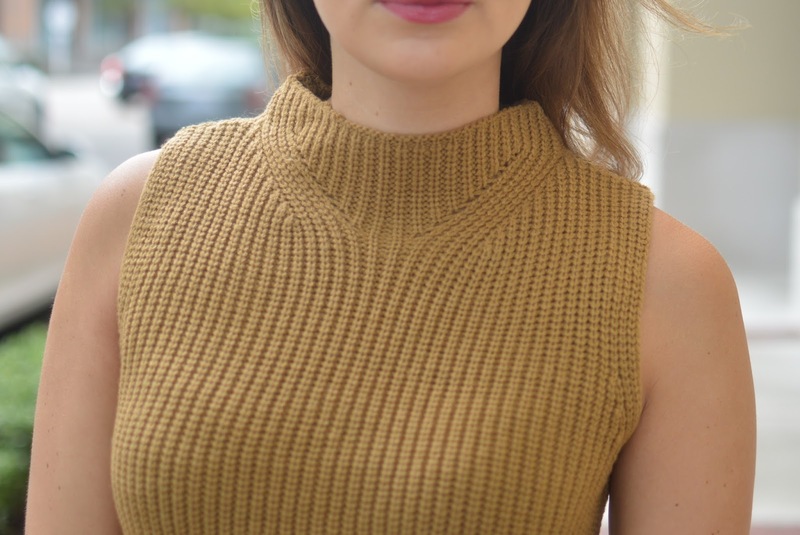 So when I saw this sleeveless sweater, I knew it was a perfect piece to add to my fall wardrobe. I have worn it several times already - once when it was in the 60s - great fall weather - and the other, when it was in low 80s. I paired it with a fab pair of ripped Free People denim. 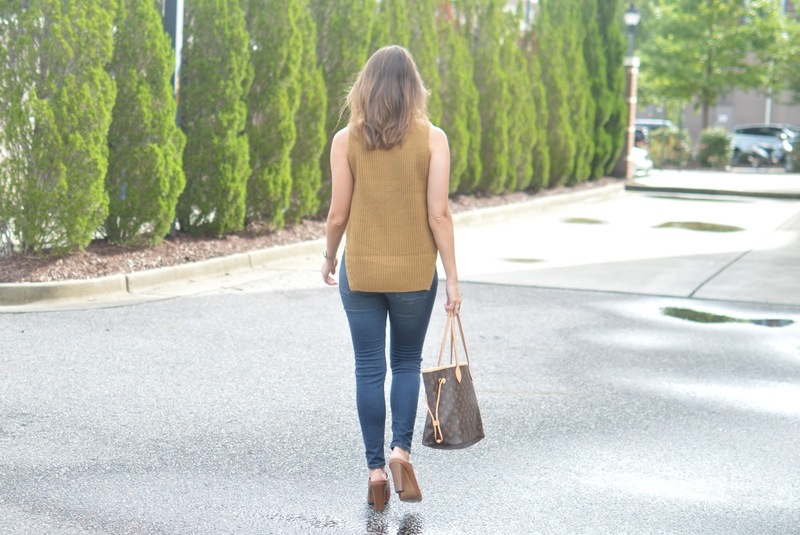 They're under $100 and seriously the most comfortable jeans I own. (...though my dad did ask if I purposefully purchased them that way).